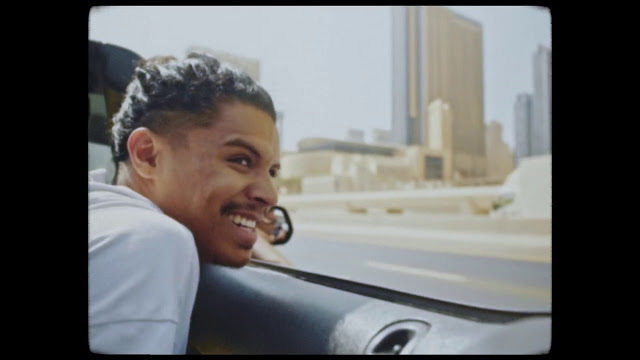 Dutch DJ and producer Jarreau Vandal has just unveiled the official music video for his groovy single What You Saying?, featuring TĀLĀ. The breezy, laidback road trip visuals were directed by Gerald Sagoe and follow Jarreau and a friend as they tour a sun-kissed city before heading to an intimate but energetic party. Check it out below! I am loving this feel-good track with such a chillout atmosphere that makes it perfect for the weekend. What You Saying is taken from his Anthology mixtape and continues down Vandal's path of incorporating more and more live instrumentation into his still club-friendly productions. There is, of course, still a lot of electronic flourish in the warping of both TĀLĀ's voice and the Chromeo-esque funk behind it.